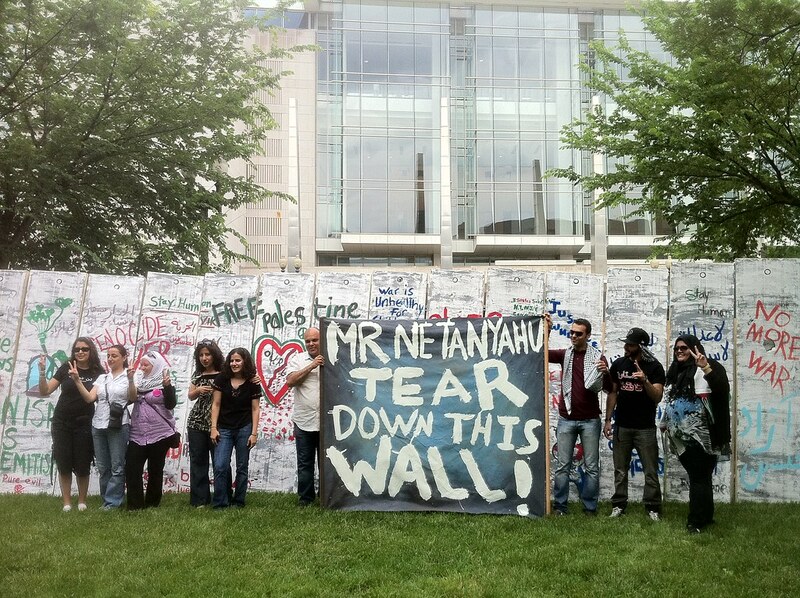 Blog to End the Occupation: Move Over AIPAC from Home! CODEPINK is a coalition member of the US Campaign. say: Move Over AIPAC! We held an exciting and thought-provoking counter-conference, took action in the street to protest AIPAC, and had a ton of fun doing it! Just see this great video of our Move Over AIPAC flashmob action in Union Station. You can join Move Over AIPAC from afar by joining the culture-jamming of the official AIPAC hashtag, #AIPAC2011. Will you tweet the truth about AIPAC? We are asking activists who oppose AIPAC's divisive tactics to use the hashtags #AIPAC2011 today and tomorrow to help get out the word about AIPAC's illegal practices. Click below to tweet now! Suggested sample tweets are below. You can CUT &amp; PASTE, or write your own. Make sure you include the #hasthags. If you click on the j.mp links below the sample tweets, you can tweet automatically from your Twitter account. This month's online action flooded the #AHAVAreborn contest with messages based in reality instead of a beauty myth. Maureen Murphy reported on the Electronic Intifada: “So many people have responded to this call that I can’t see any tweets that AREN’T about BDS and Israel’s rights abuses when searching #AHAVAreborn on Twitter. AHAVA is having an increasingly hard time covering up its human rights blemishes.” Thanks for helping to highlight the injustices that AIPAC participates in.